The Generation Squeeze campaign thanks all who ran in the 2015 federal election. Their service to community and country is commendable. 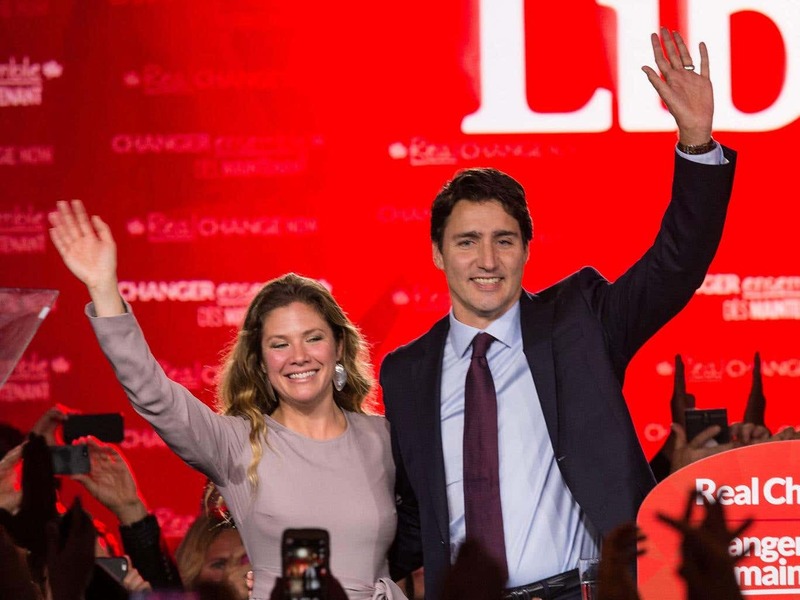 We congratulate Mr. Trudeau for his party’s election victory. In pursuit of BETTER, we applaud Mr. Trudeau for his emphasis on bringing Canadians together. Too often, previous government budgets divided generations, pitting investments in the aging population at the expense of investing in younger Canadians. At Generation Squeeze, we know a better generational deal means uniting generations in future budgets. To this end, we will be working with newly elected MPs in all parties to make intergenerational solidarity and fairness a priority. offering fewer details about pricing pollution than did the other opposition platforms. We will urge Liberal MPs and policy advisors to revisit these details in the Liberal platform in advance of the 2016 budget. At the same time, we will also emphasize that the Liberal platform is relatively strong at containing medical care spending. This in turn left fiscal room for the Liberals to propose more new spending for families with children than any other party, which included the Liberal platform borrowing ideas from all three parts of the Gen Squeeze New Deal for Families: (i) extending parental leave to 18 months per household, (ii) offering new opportunities for flextime and (iii) investing in child care services. The Liberals also adopted several elements of our vision for a better housing policy. We will work to see these commitments make their way into the next federal budget, and get stronger over time. As much as possible, Generation Squeeze will assist the new government to fulfill the review of wasteful tax expenditures on which the Liberals campaigned. This review is timely. In our ground breaking study of the 2015 federal budget, we identify a wide range of tax expenditures. Many of these are outdated, inefficient, and cost billions of dollars. These funds could be reallocated to pay for policy adaptations to ease the time, money, service and environmental pressures that squeeze younger generations while safeguarding the medical care and old age security on which the aging population is counting. In support of government budgets that work for all generations, Gen Squeeze called on all political parties to commit to reporting the age distribution of government spending. We are therefore heartened that the Liberal Party promised during the campaign to make “Statistics Canada fully independent” and to “work with… other stakeholders to provide a broader range of information.” By annually reporting the age breakdown in social spending, the federal government could create a new society-wide opportunity to assess whether our country is finding the right balance between our investments in young and old; finding the right balance between investing in earlier and later life stages for each citizen; and finding the right balance between investing in the things that make us healthy and productive, as compared to spending more later on when we fall ill or struggle economically. This assessment is badly needed, because Generation Squeeze research shows that the federal government currently spends $20,868 per person age 65+, $7185 per person age 45-64, and $4,349 per person under age 45. It truly is time for a better deal, one that works for all generations. Thankfully, BETTER is always possible in Canada. So says our new Prime Minister. Dr. Paul Kershaw is a UBC policy professor in the School of Population Health, and Founder of Generation Squeeze.